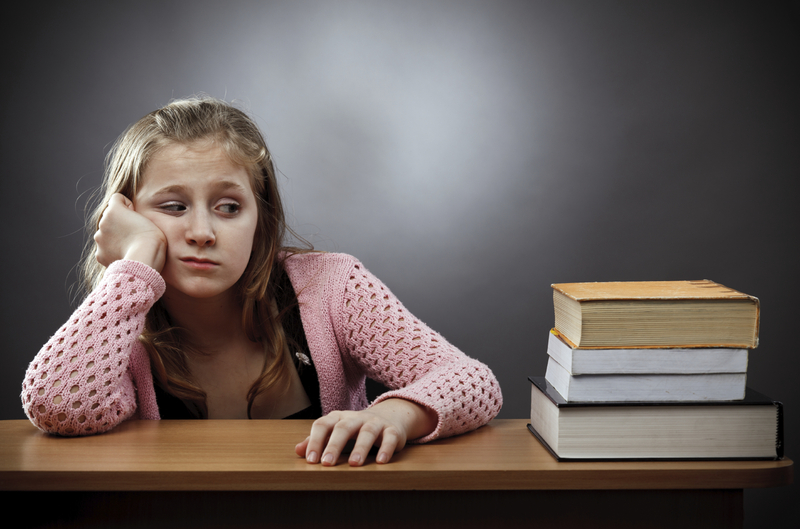 What's at stake when parents push, nag and help with homework? A lot. What's the definition of homework? An eight-letter word that can make almost everyone cringe, adults and kids alike. One of the most common complaints I hear from parents of school-age children is that frequent homework battles are driving them nuts! We just don't get why it's such a problem. Is it that big of a deal? We lived through our own school days, we understood the value of homework, we did it with no complaints to the best of our abilities, and we did it all with a smile. Of course, we walked three miles to school in the snow, uphill both ways too, right? NOT. If you were like almost every child, you had days where you moaned and groaned about doing homework. You had days when you raced through your homework as fast and with as little attention as possible so you could get to the fun stuff. You may have had days where you told your parents there was no homework that day or you forgot it at school because you just couldn’t bear the thought of waiting one more minute to fire up the Atari console for a game of Space Invaders. So the question is not why do our kids procrastinate, complain, or race through it? The question is, why do we think our children are so different? Empathy is one of our favorite places to start when thinking about any parenting challenge. Before hopping on our high horse and lecturing about the value of homework, we need to take a moment and really put ourselves in our child’s shoes. So, connect with that inner child of yours, and remember what a long day of school felt like, and how hard it was at times to dig in to more work when you got home. Actually, I don’t even have to go back that far. Take any weeknight when I have worked a full day and dinner, laundry, and chores are waiting for me. I would rather relax and play with the kids. I would rather do just about anything than laundry, but there it is waiting for me. Now that we have some empathy for how our children may feel about homework some days, lets take a look at how we can set ourselves and our children free from the battles that often occur around this issue. Decades past our own school years, we still live in fear of being called to the principal’s office. Their homework is their Homework. Homework is an agreement between a student and their teacher. Yes, assignments come home that require a whole lot more from parents than they should. And, often there is a whole lot more homework than research demonstrates is necessary. I will save those issues for another day, though. What we can do is let the homework your child has be theirs to manage. Many of the struggles around homework come from the mistaken belief that we, as parents, are responsible for the homework. Somewhere in there, we think that if we stopped nagging, it would never get done, our children would fail fifth grade, and be destined to a life of poor spelling and an inability to calculate a tip when dining out. The truth is, our fears are normal. We want our kids to get the most out of life. We want them to learn, grow and find their passion. We want them to know the value of hard work. And, decades past our own school years, we still live in fear of being called to the principal’s office. Here’s where we get stuck. We believe that it is only through our nagging and pressure that our children will learn these things. Here’s the question to ask ourselves: Is that how we learned these important life skills and lessons? Was it through lectures and power struggles? Yes, we might have experienced those. My guess is we learned those lessons despite the lectures and power struggles, not because of them. Our children fear things all the time, and we ask them to trust us and to try it anyway. This is what we must do with our own children. We must trust that they will learn the important life lessons without us drilling them in. We must trust that they can learn from mistakes if we allow them to, and we must trust that they will rise to the occasion when we give them the tools to do so. From the first day my oldest came home with homework, we worked together to create a plan for how she would manage it and what she needed from me. This was kindergarten, so the amount was minimal. I figured we might as well start off on the right foot though so we made a plan together. Each school year, we have a discussion and come to an agreement as to when homework will be done (what days of the week and what time of day), where it will be done (at the kitchen table, in her room, etc.) and what she needs in order to do her homework (help from me, sharpened pencils, etc.). Part of our agreement is to see how our new plan works for a few weeks, and then check in and make adjustments if needed. If they are quite insistent, it may not be worth the battle. Let them try it out. Either it will surprise us and actually work, or, it will surprise them and they will be itching to try something different. The important part is letting them have the learning experience without us getting in the way. I have had some wonderful surprises when letting my children try out plans that seemed doomed to fail. With older kids, they may need less involvement from you on coming up with the plan, but it is still essential that you talk about it together. This is the time to add in any parts that are important to you. If your rule is that homework needs to be done before screen time, you will want to make sure this is part of your agreement from the beginning. 1. If you have agreed that homework happens at a certain time, make sure that time is kept clear so they can follow through. If you need to schedule something during that time, ask them. 2. Give your child the benefit of the doubt and assume they will keep their agreement. It never feels good to have people second guess or micromanage us, and our children feel the same. This means giving a grace period before checking in on their plan. 3. Minimize distractions. If younger siblings are around, make sure they have something to do so that the child doing homework is not bothered. 4. If the agreed-upon homework time has passed and your child is still not getting started, check in calmly. You might say, “I notice it's past 4 p.m., what’s our agreement about what happens at this time? I said this above, but I can’t stress it enough. Their homework is their own. It is what their teacher asked them to do in school. While it may feel like we are being assigned the work, trust that teachers are providing developmentally appropriate work, making sure that their students know what to do and when to return it, and will close the loop by checking and returning homework to students. Younger children will need more reminders to complete their tasks. The hope is that if we help children create a plan in the early years, by the time they hit third or fourth grade, homework is fully in their hands. If your child does not complete their homework or does not turn it in when it is due, trust that the teacher will follow up with your child. I know that fear of failure is hard to tune out, but the stakes are relatively low. Letting your child have the experience of being held accountable by the teacher is more far powerful than the damage we can do by engaging in daily power struggles around homework. When that fear of letting my children fail creeps in to my head, I remind myself that eventually they will be in college and then have their own careers. I won’t be there to make sure all tasks are completed to my standards or anyone else’s. They need to develop their own self-discipline, their own desire to learn, and their own sense of accomplishment from working to the best of their abilities. As I hear the word grit popping up in everywhere these days, I am reminded that grit comes from moving through challenges. It comes from persisting despite fear. It comes from believing in yourself, even on the bad days. Taking responsibility for a child’s homework robs them of their ability to develop these core skills. If instead, I show empathy for the situation, check in with my own emotions, and believe in my child's ability to deal with the natural consequences of their actions, I give them the opportunity to not just get good grades, but develop the life skills they need to thrive.